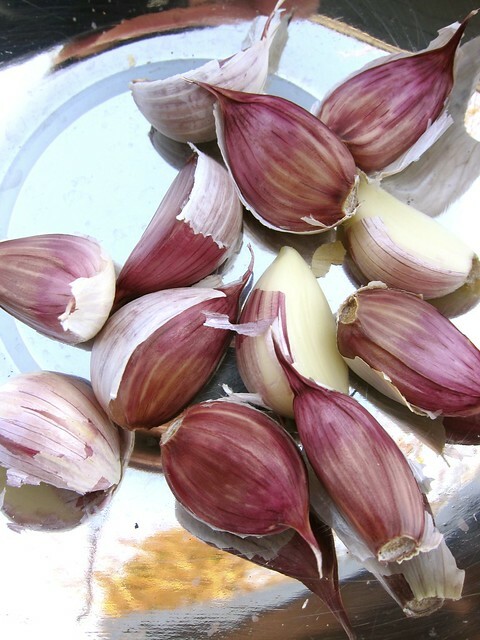 Late November may be pushing it but, as long as the ground is workable, it’s not too late to plant garlic. Of the 3 varieties of we grow, the Rossa di Sulmona from Seeds from Italy is my favorite — a terrific balance of pungency and sweetness, and its distinctive pink color never fails to bring me cheer. Have a delicious Thanksgiving, dear friends — there’s always so much to be grateful for. This entry was posted in garden and tagged garlic, rossa di sulmona. Bookmark the permalink.